2 In 1 Solar Light | BUDK.com - Knives & Swords At The Lowest Prices! 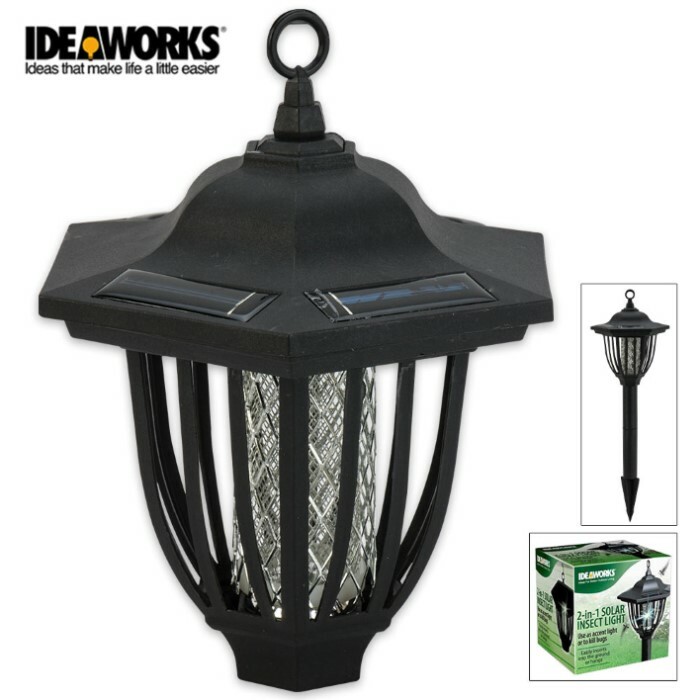 The 2 In 1 Solar Light is a great dual-purpose addition to your yard or porch. 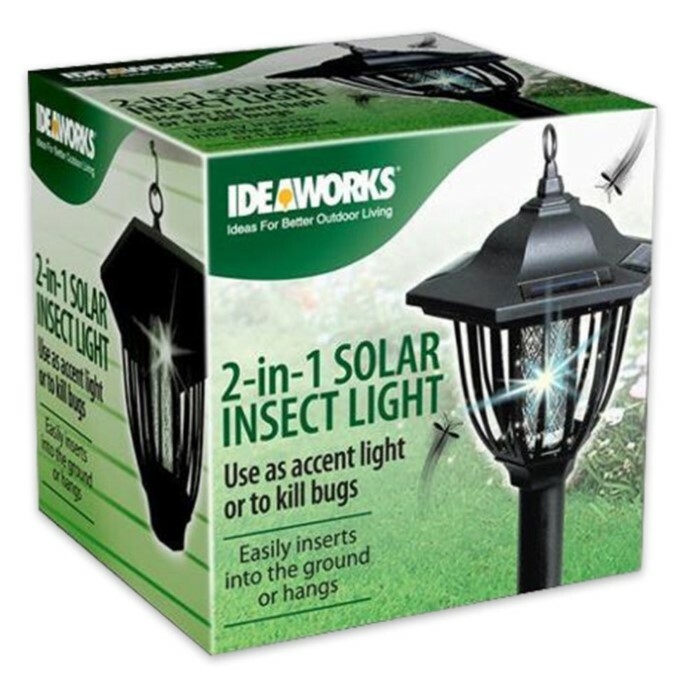 Insert it into the ground to use as an accent light or hang it from a wall or ceiling and use it as a bug zapper. The ground stakes and poles are included. No plugs or electricity are required and it has four solar panels for extra power! 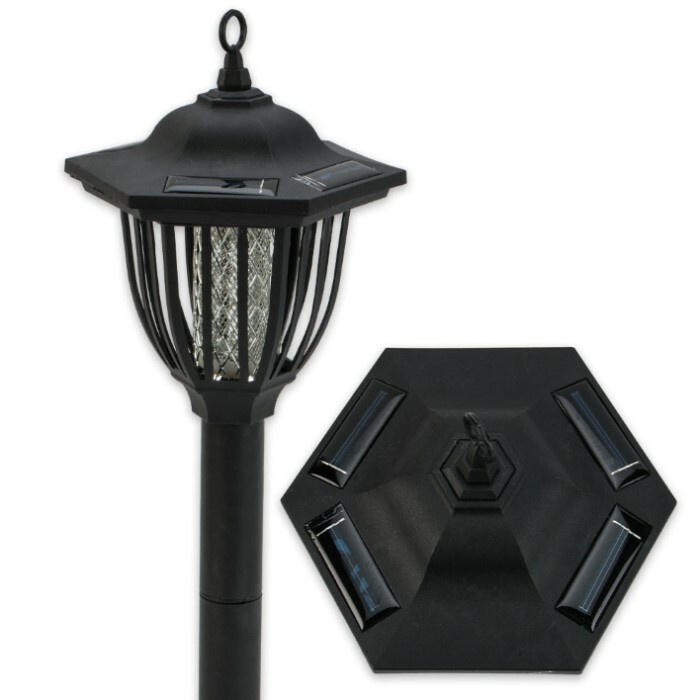 It is weatherproof and has an attractive design that will compliment your landscaping.